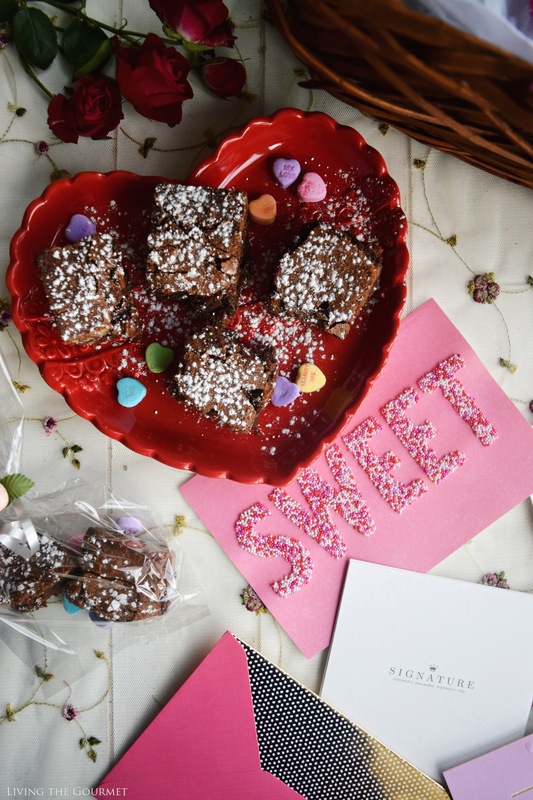 Treat your special Valentine to a batch of these easy one bowl fudge brownies and a beautiful handcrafted Hallmark Signature Valentine’s Day Card. While flowers are fine on Valentine’s Day, in fact no Valentine’s Day would be complete without red rose petals, truly impressing requires a bit more creativity. 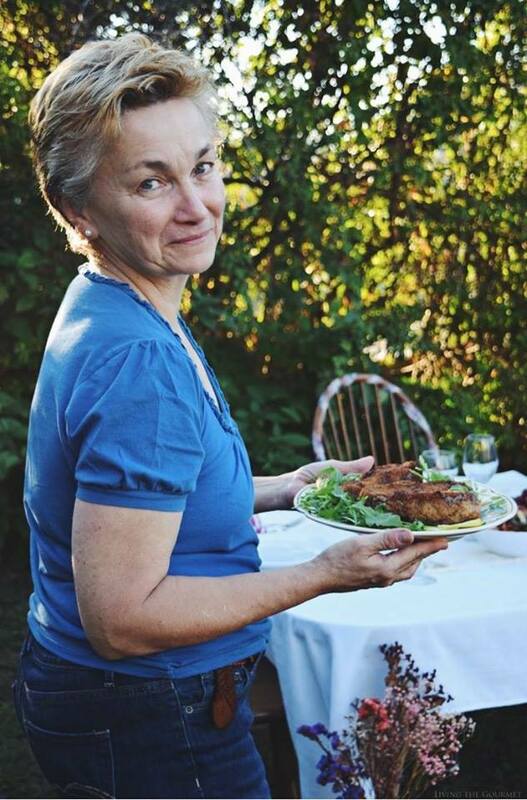 I know what you’re thinking creativity is its own reward…or so the cliché runs. However, for those of us not employed as starving artists, creativity is very hardly its own reward, instead it is the means to an end. You see, I like to think of creativity as the fuel for success – and the willingness to apply it. ‘Standing out,’ ‘being different,’ or ‘breaking the mold,’ all requires the ability, and willingness, to innovate. 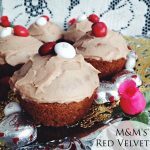 Whether it’s impressing guests, decorating for a holiday, or putting something together for your Valentine, the ‘equation’ is really quite simple. 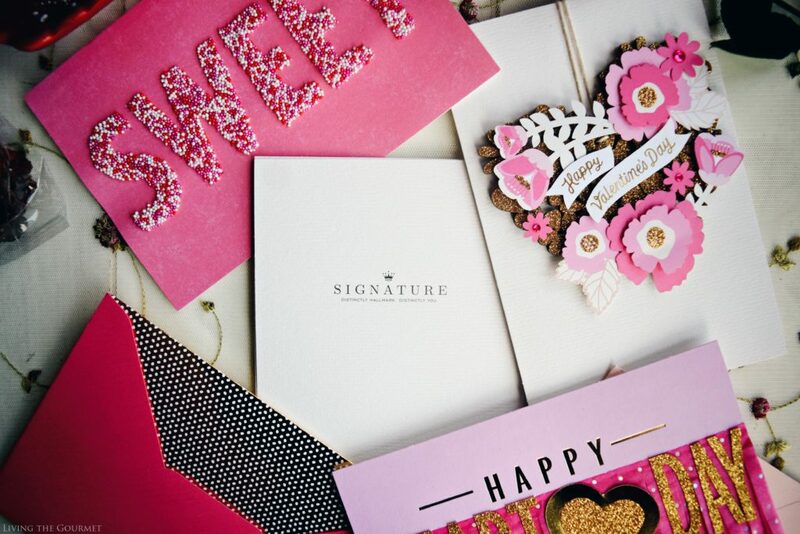 Your guests, or Valentine, are impressed in direct proportion to your creativity. And let’s be honest, impressing people is far more ‘its own reward,’ and who doesn’t want to impress on Valentine’s Day? Now, we’ve all dined upon chocolate hearts, we’ve all watched candles shed waxen tears, and we’ve probably all rolled about in rose petals at one point or another…haven’t we? Now, with the countdown to Valentine’s Day well underway, tips and tricks abound in great quantity on how to put together a Valentine’s evening, or how to set a fantastic tablescape, but what about those times you’re #SendingYourLove? Let’s say your Valentine is away, or you’re sending Valentine’s greetings to a friend, how might one ‘impress’ in that situation? 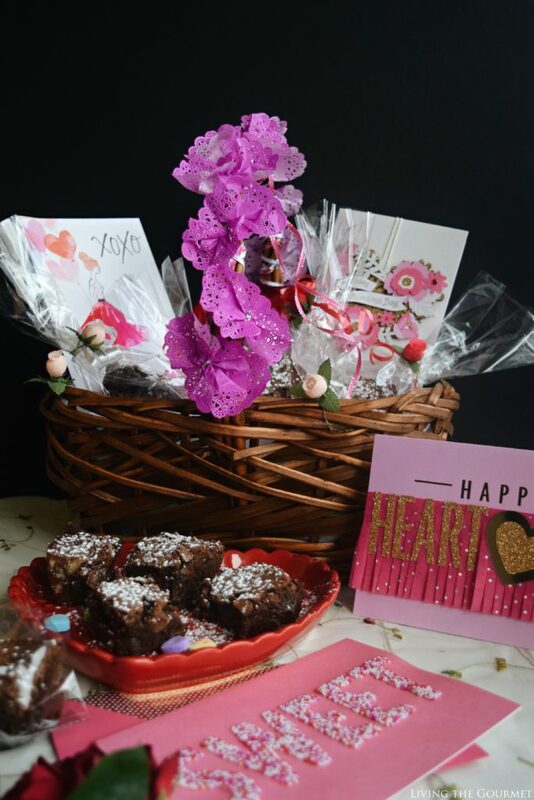 As you might have guessed, that’s precisely where today’s post comes in – a Valentine’s Day Basket arranged with Decadent Brownies, candies, and a premium handcrafted Hallmark Signature card. 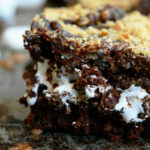 First things being first, you’re going to need a set of super moist, melt in your mouth brownies. After all, there are few things sexier than fudgy chocolate…but I digress. We begin by melting together baking chocolate and butter as described below, and stirring until the chocolate is completely melted and mixed with the butter. After that, stir in the sugar until its fully blended together, then mix in the flour, then pour the batter into a baking dish as described below, and bake for about thirty to forty-five minutes. While the brownies are cooling, it’s time to prep the basket. To start, weave mini violet (or pink) paper doilies with twist ties through the handle, and decorate the rim of the basket with flowers as shown below. Once that’s done, we slice the brownies, and prep them in clear baggies tied with bows and flowers. Then we arrange these in the basket and in a box of chocolates for good measure. Then for the final touch, add in the Hallmark Signature card, which is available right at Walmart in a wide range of varieties. 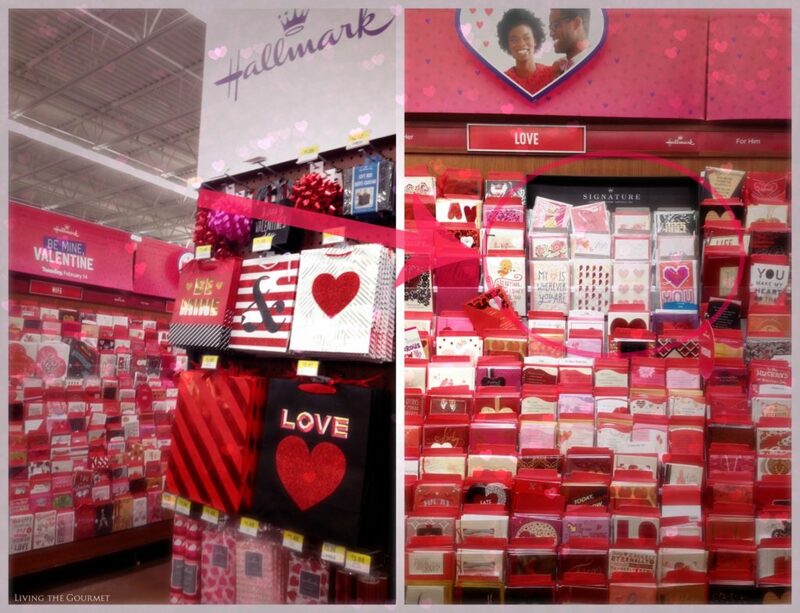 Just until 2/15, you can get $2 off a 2 card purchase (min $2 purchase required) with the in-aisle coupon! Melt down chocolate and butter and stir until the chocolate has completely melted and is smooth. Stir sugar into chocolate until well blended, then add eggs and vanilla. Mix in the flour until the batter is smooth. Lastly stir in chopped pecans. Pour the batter into a greased 8-inch square baking dish. Bake for 35-40 minutes, or until the cake tester comes out clean. Let the brownies cool completely before slicing. 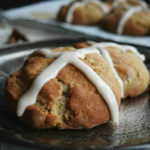 Dust with powdered sugar, serve and enjoy! What are some of the ways you get creative on Valentine’s Day? We’d love to hear from you. Don’t forget to download your special digital savings here! 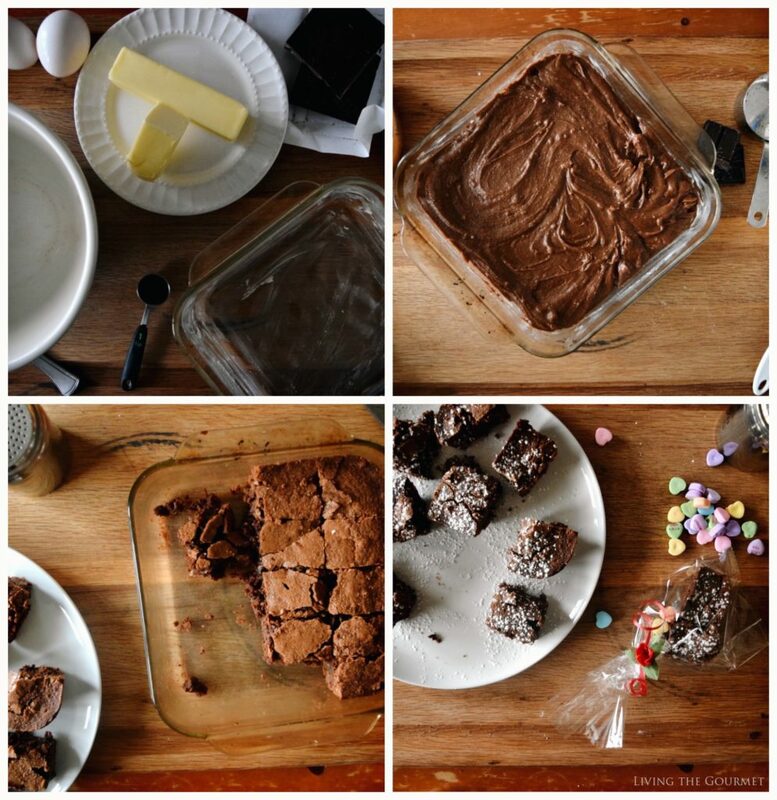 These brownies look wonderfully delicious! Perfect for my Valentine!! 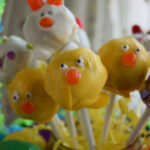 Love how easy they are to make!!! This would make anyone happy on Valentine's Day! Everything is very pretty and the brownies are to die for! So wonderful for Valentine's Day! Those brownies sound incredible. I love the addition of the chopped pecans. What a fantastic gift basket! I would love to receive something like that. Those brownies look fabulous! Now I'm officially in the mood for Valentine's Day. Thank you! 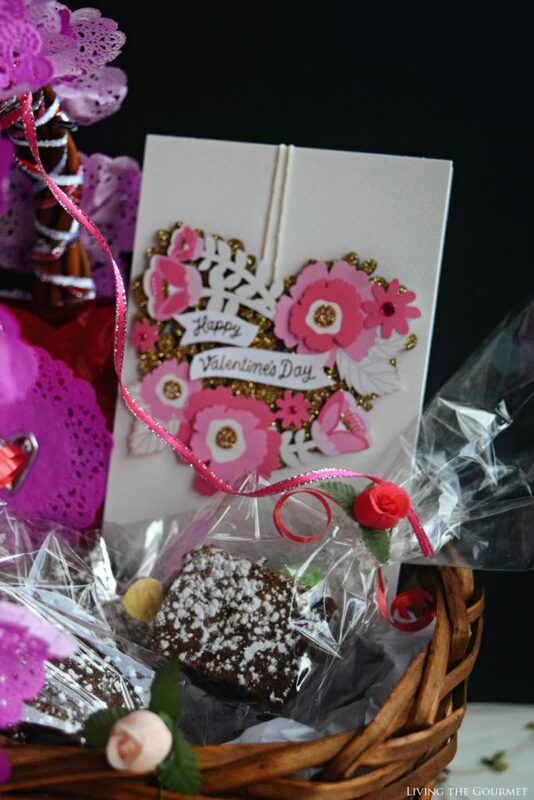 I love the "SWEET" card and the brownies sound delicious! I am all about one bowl desserts. 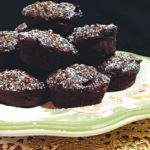 Brownies are a favorite at our house too. perfect for the upcoming holiday for my sweetheart! I love making Dutch Oven Recipes ,its good . What a fantastic gift basket! These look so sweet!! I love fudge brownies.. These look so good. And I'm loving the Valentine decor. Awesome!